Twice a week the IBC family joins together for worship and the Word. Students apply theory and principles taught in the classroom in a practical setting, preaching, teaching and leading in worship. Thousands of souls have been and will be saved because of the commitments made during these services and you get to be a part. All students are housed on campus. All ladies live on the main campus of Indiana Bible College, while the gentleman live in Heritage Hall located across the street. Families or married students are encouraged to source their own housing arrangements, as Indiana Bible College does not have facilities to accommodate these situations. Living at the Crossroads of America is an experience like none other. 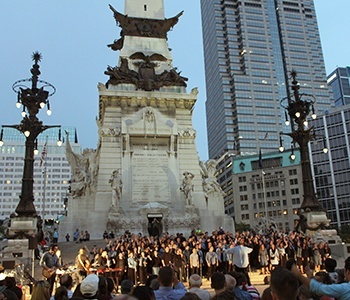 Downtown Indianapolis is just 10 minutes from campus and boasts numerous local and national attractions. Employment opportunities are numerous in the country’s 14th largest city. 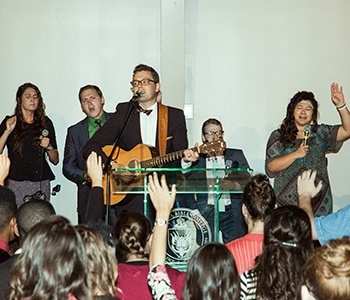 At the heart of the Indiana Bible College experience is student life. From socials to the classroom, the ping pong table to the dorm room, IBC student life plays a large part in the IBC experience. 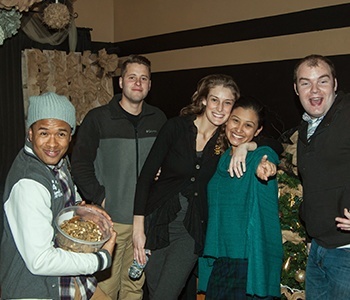 You will make friendships that last a lifetime at Indiana Bible College- friendships that are tested and proven true. Even if you do not like them at first, you can be sure that IBC has a way of making lifetime friends out of conflicting personalities. When talking to Indiana Bible College alumni, you can expect to hear that the friends they met at Indiana Bible College remain great friends today.